The first goal that I set was to lose weight and I’ve achieved that goal that I wanted to do. So, the goals that I’ve moved onto now are just sort of improving technique and getting as strong as I can really. 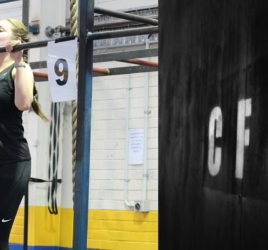 What were your first experiences at CrossFit like? It was really good, it was quite intimidating at first walking into the big room here. But the first WOD that I did was a partner WOD, so sort of to have someone to help you along the first time you do it it was quite cool. We were outside doing some tyre flips, it was something different rather than just going to the gym and lifting weights. It was actually quite good and I walked away real happy with the experience. Yeah really good, really welcoming. Coming into this environment can seem quite daunting at first you come in and the music’s blasting, but straight away people are asking you if you’re okay and what your name is and introducing themselves. The coaches, they help you along really well. They break things down which, for a movement that looks complicated at first, when they break it down it becomes easy to understand so they’re really helpful. 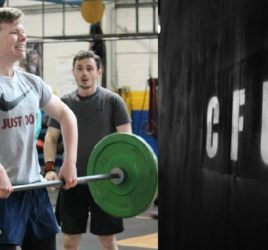 What is it specifically about CrossFit that you like? It’s just different. I find that the gyms I used to go to before was just you go in and you do your bench and your deadlifts it’s just- it’s boring, and it’s repetitive. 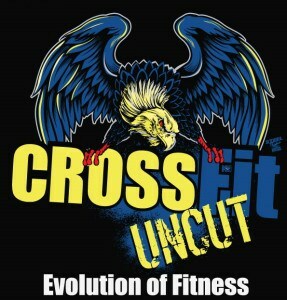 But CrossFit is it’s always different is very rarely the same workout that we do. And being able to do in a team environment, I find that really helpful cause I play rugby, I enjoy working with people and doing WODs together, everyone’s encouraging eachother, so that’s what I really enjoy about it. Yeah just do it, just turn up. I found the hardest part is getting here, once you’re here everyone’s here to help you along. Just don’t think about it, just do it, just turn up, get in contact and come on down and everyone will make you feel really welcome. 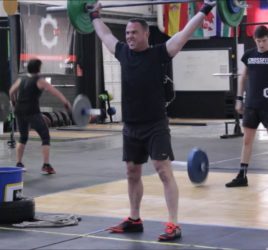 Member Spotlight Monday – Mat Interview"I find that with the gyms I used to go to before it was just you go in and you do your bench and your deadlifts it's just- it's boring and it's repetitive, but CrossFit is always different, is very rarely the same workout that we do."